Where will things be in a hundred years? Or two hundred. I like to think about it even though I know I won’t be around to see it. I watched the fifties film version of H.G. Wells ‘The Time Machine’ the other day. This is a story I have always loved, since I was a teenager. Wells was remarkably prescient in many of his stories, predicting things, and describing things that often came to pass. For example he foresaw nuclear weapons and men on the moon. And even predicted the global conflict of the second world war in 1933 (in ‘The Shape of things to come’). He predicted aerial warfare and tanks and all kinds of things. 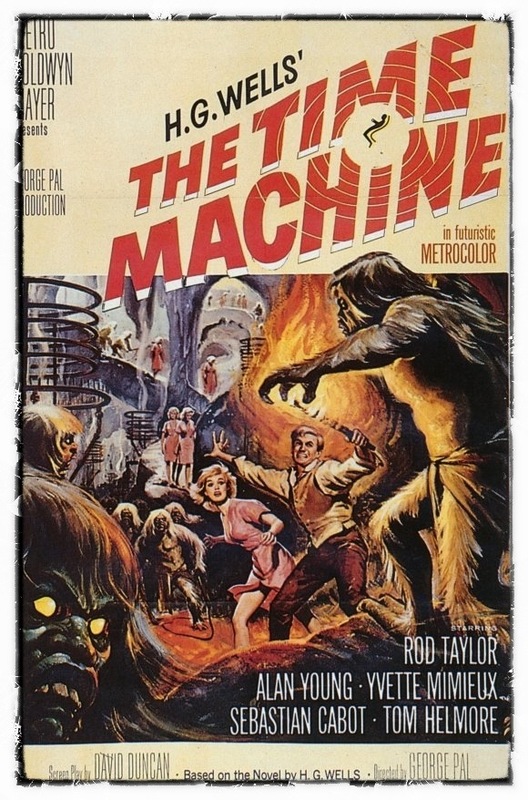 In ‘The Time Machine’ the time traveller journeys to an amazing far flung future where the people are divided between those who live above ground and those below, evolved into strange new forms, by the aftermath of a long finished war. Mind you he also predicted invisibility and interplanetary war. Maybe these will come to pass. Eventually. If you have never read any Wells then I urge you to do so. 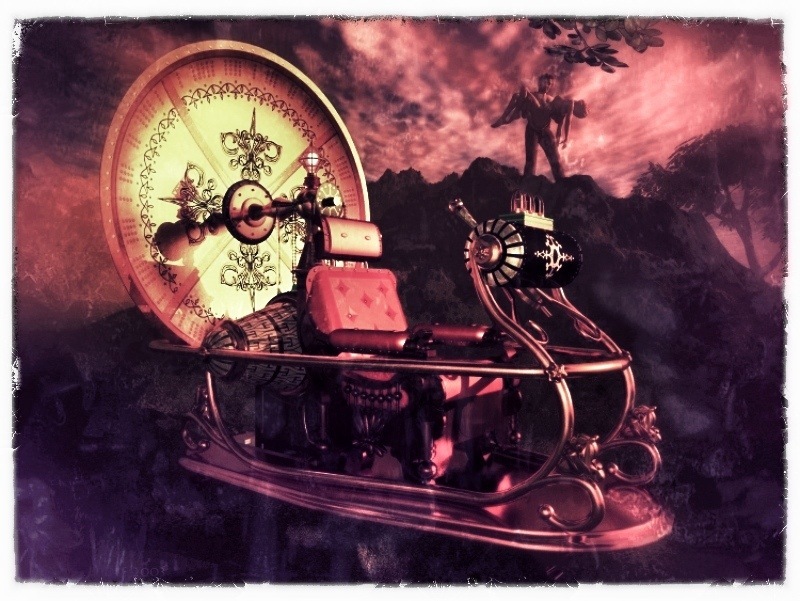 You can get classic stories like ‘The Time Machine’ or ‘War of the Worlds’ free as ebooks nowadays (click here to see the free selection of his work you can now get). So now when I imagine the future I do it through a different, more post modern lens. I predict more space travel, some for ordinary people and some to planets in our solar system. I predict faster global travel. The world will shrink further. I predict unimaginable computers, amazingly powerful and ergonomic, all connected and doing things for us we don’t even know about, possibly implanted inside us, connected to us. I predict medical breakthroughs, some that will enable the fortunate to live much longer lives. I predict that ‘nano’ technology and ‘bio’ technology will change the world in ways we can’t imagine yet…could be bad and/or good. I predict a continuation of terrible wars, conflict, starvation and disease, as the world population continues to grow and the gap between the ‘haves’ and the ‘have nots’ increases. I predict horrendous natural disasters, some caused by global warming (and yes I do believe in that!). I predict an increasing inability of national governments to cope with global problems, as we creep towards a truly multi-cultural global society. I predict that millennia old prejudices of race, religion and creed will continue to fuel suspicion and distrust between essentially well meaning peoples. These are just a few ideas off the top of my head. It will be a post modern future because the amazing progress we make will not benefit everyone. Some people’s lives will be worse in the future than they are now. Of course, I may be completely wrong, after all the only certainty is change. But one final thought, look back two hundred years and think about what that was like compared to now. One way to do this is to visit the ‘Gapminder’ website – http://www.gapminder.org/ – click on ‘Gapminder World’ and watch the animated graph which shows how nations have faired over the last two hundred years. Please take a look and think about where we are all going…. H.G. 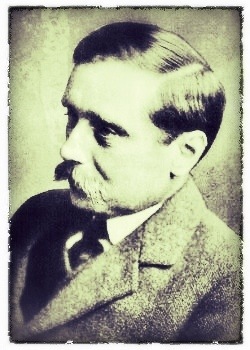 Wells – great moustache! Wonder if they will come back in fashion in the future? Next > Something for Nothing? Simon, I think you have covered most things… I wonder whether HG Wells would have anticipated that progress can go backwards as well as forward. We had a supersonic passenger plane, now we don’t. We had a re-usable space ship, now we are back to rockets and we went to the moon over 40 years ago and we still have not gone back… Lets hope deep into the future, we can anticipate mostly forward progress. Hello my old friend! There is always a riot somewhere. Maybe we should start one of our own! Want to come to a gig?